A Division of H. Betti Industries, Inc.
Betson Enterprises is the leading amusement distributor and global supplier of location-based amusement equipment. But in reality, that is only a fraction of what we do for our customers and partners. Over the course of our 80+ year history, we have learned we are only as successful as our customer. Because of that, everything we do is designed to help our valued customers run and grow a profitable business. We don’t just sell equipment: we offer game room design, layout and installation to ensure optimal profitability. We offer low-risk financing through our private lending division. We train our customers on how to maintain equipment so that it remains operational. We keep parts in stock, so you can get them when you need them. We work with our customers from concept to completion to the everyday operations of their business. We aren’t just interested in closing deals, we are interested in starting long-term relationships. We want to make growing your business as easy as possible. 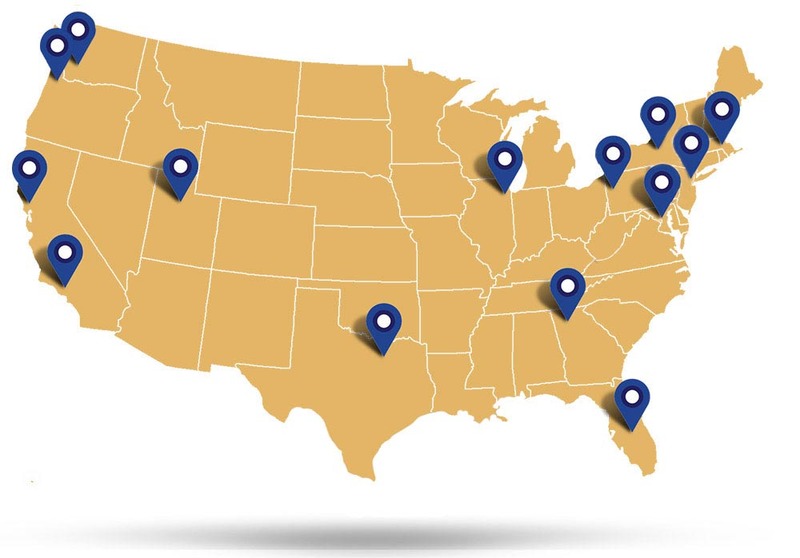 We have locations nationwide and departments dedicated to handle all your needs: finance, amusements, family entertainment center installations, parts, service, vending, office coffee equipment and CAD design. If you need it, we can provide it. Our core philosophy is to reinvest our good fortune back into our business so that we can help our customers grow. We have access to every game in the industry through our partnerships with all major manufacturers. We test new pieces in a variety of locations to make sure we are recommending the best games to suit your business and demographics of your customers. We evaluate your location for games based on the data we’ve collected from hundreds of locations world-wide to maximize your profits and enhance your customers’ experience. Betson Financial Services offers customers competitive interest rates, leasing, financing and extended terms. We are able to create customized solutions tailored to your business. We do our best to make the financing process as quick and easy as possible. Our experienced game room designers will create a detailed CAD design that shows electrical overlays, layout and game selection for optimized use of your game room space—whether you are only creating an arcade space or combining it with other amusements (such as a ropes course or indoor miniature golf range). We maintain the industry’s largest inventory of parts to ensure your games stay operational. If something breaks, we can send you a refurbished component to exchange with your defective item so you can get back up and making money ASAP. We can provide a dedicated customer service representative to coordinate and expedite all your customer service needs. Betson Technical University provides the necessary training for you and your employees to keep your games properly serviced. Order your parts online or by phone. We have a vast parts inventory and offer convenient shipping from both coasts. We offer new and used vending equipment, and have excellent reconditioning capabilities. Imperial is the largest wholesale distributor of billiard products, accessories and licensed goods for the MLB, NFL, NHL and collegiate teams across the United States. Imperial is the U.S. distributor of Rasson tournament grade tables, the official sponsor of national and international pool tournaments around the world. Our tables are guaranteed for life and can be customized with a variety of cloth colors and complimentary accessories. Your customers can play like the pros with Cuetec products. Imperial is the U.S. distributor of Cuetec cues and balls — the cues and balls used in professional tournaments. Does your location have a sports fan base? Show your team pride. We are an NFL, MLB, NHL and collegiate licensee. Ask your sales representative for more details on how you can customize your game room. We would love to hear from you. Please submit our online inquiry form. A representative will get back to you shortly. Be the first to hear about new releases, product promotions and business tips from the top player in the industry! © H. Betti Industries Inc. - All Rights Reserved. Which cookies and scripts are used and how they impact your visit is specified on the left. To understand how people use our site, and to discover areas on our site with issues, we use Facebook Pixel. Most websites use some sort of analytics program like this. The data it collects helps us see things like how many people visit our site, which country they are from, how many pages they visited, how fast our site loaded and so on. All data collected is completely anonymous, it does not identify you as an individual in any way. To understand how people use your site, and to discover areas on our site with issues, we use LinkedIn analytics. Most websites use some sort of analytics program like this. The data it collects helps us see things like how many people visit our site, which country they are from, how many pages they visited, how fast our site loaded and so on. All data collected is completely anonymous, it does not identify you as an individual in any way. To understand how people use our site, and to discover areas on our site with issues, we use Twitter analytics. Most websites use some sort of analytics program like this. The data it collects helps us see things like how many people visit our site, which country they are from, how many pages they visited, how fast our site loaded and so on. All data collected is completely anonymous, it does not identify you as an individual in any way.